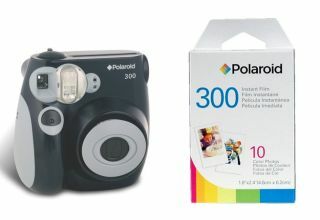 Polaroid has returned, with a new instant-printing camera – the PIC 300 – set to launch in the UK in May. The new owners of the Polaroid brand are clearly looking to capitalise on the consumer's awareness of the brand's history of classic instant-printing cameras. The PIC-300 has four exposure settings and an automatic flash all built in to its retro-styled body. It's powered by AA batteries or a rechargeable li-ion which is included in the box. The photos are around the size of the average business card at 2.1 x 3.4-inches (with a 1.8 x 2.4-inch image) compared with the older-style polaroid prints which measured 3.5 x 4.25 (3 x 3.1-inch image size). It is bound to work well as a party device, or be popular for family get-togethers and the like.